Impact of Debt Consolidation on Credit Rating - Winningback | Shopping and Finance Blog, Reclaim your finances today! Debt consolidation is the best way to take care of all the older debts and manage them efficiently. Consolidation loan would help the person consolidate all the older debts possessed by them into a single consolidated loan, which would be provided only upon placing a property or asset as collateral. This is to make sure that the risk factor for the lender is reduced considerably. The bad credit amount provided by a consolidated loan would be used to repay all the older debts. Now, all the older debts possessed by the borrower gets cleared. The person is then supposed to make lower monthly payments on the consolidated loan. Debt consolidation loan generally possess longer repayment period and this is because the interest rate charged on the loan is lower and so results in the extension of the repayment period. Debt consolidation option comes in different ways and the choice of it solely rests with the person. Various debt consolidation options include utilizing home equity loans as second mortgage, credit card etc. Opting for a debt consolidation loan has few implications and all those come in the form of an impact on the credit rating of the person. The impact caused by debt consolidation on the credit rating of the person is as described below. Any loan application made by a person would appear in the credit report of that person. This is mainly due to the inquiry made by the lender about the credit status of the applicant with the credit reporting bureaus. This would be regarded as a hard inquiry and thus, it would eventually lead to a fall in the credit score of the borrower. The above mentioned factor not only applies for a loan application made, but it also applies for a credit card application. Debt consolidation would eventually cause a considerable rise in the credit rating of the borrower and this is due to the closing of all the older debts. All closed loans and debts would cause a positive impact on the credit rating of the borrower, since the borrower would be seen as a responsible borrower. This rise in credit score would help the person when applying for other loans in the future. Consolidation loans would help the person manage all his or her debts and make debt management much easy for the person, as a result of which, the credit utilization ratio falls down. Credit utilization ratio is nothing but a limit set according to the personal credit report of the person that allows the person to apply for loans. This ratio would come down when the person avails multiple loans. 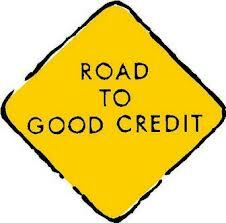 A dip in the credit utilization ratio would improve the credit score of the person. Credit score and credit utilization ratio are inversely proportional. A rise in the credit score would eventually help the person become an attractive borrower. Readers by now would have been aware of all the impacts created by a debt consolidation on the credit rating of the person. It is the responsibility of the borrower to examine all the options and resources available to them before they opt for consolidation. View website for more information. How Should You Invest Your Retirement Assets?